As a homeowner, you can play an important part in the timely sale of your property. When you take the following steps, you’ll help me sell your home faster, at the best possible price. As Jason and Nicholas have been servicing the Northern Beaches Real Estate industry for a combined total of 45 years here are their Top Tips for Sellers. A well-manicured lawn, neatly trimmed shrubs and a clutter-free porch welcome prospects. So does a freshly painted – or at least freshly scrubbed – front door. If it’s autumn, rake the leaves. The fewer obstacles between prospects and the true appeal of your home, the better. Tip: Freshly brewed coffee or baked biscuits left on your kitchen bench will sure to please any potential Buyer. If cabinets or closet doors stick in your home, you can be sure they will also stick in a Buyers mind. Don’t try to explain away sticky situations when you can easily plane them away. A little effort on your part can smooth the way toward a closing. Remember, potential buyers are looking for more than just comfortable living space. They’re looking for storage space, too. Make sure any storage areas are clean and free of unnecessary items. Wake up Buyers to the cozy comforts of your bedrooms. For a spacious look, get rid of excess furniture. Let the sun shine in! Pull back your curtains and drapes so Buyers can see how bright and cheery your home is. Turn on the excitement by turning on all your lights – both inside and outside – when showing your home in the evening. Lights add color and warmth, and make Buyers feel welcome. Dogs and cats are great companions, but not when you’re showing your home. Pets have a talent for getting underfoot. So do everybody a favour, keep Kitty and Spot outside, or at least out of the way. When Buyers want to talk price, terms, or other real estate matters, let them speak to an expert. 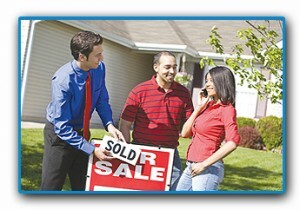 You will have an easier time selling your home if any extra showings are scheduled through our office. You’ll appreciate the results.